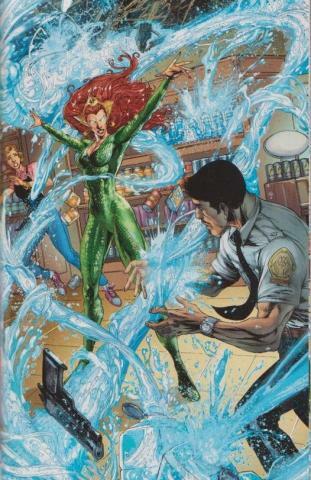 Mera ventures into town to buy some dog food and gets into an altercation with the locals. Plus: A glimpse from her past. While Arthur’s away, her queen will play! 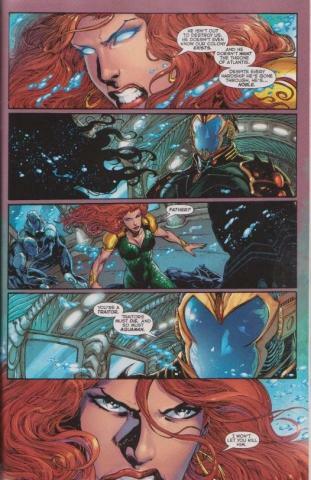 As Mera tries to interact and somehow fit in with the townsfolk, she proves that she’s not a woman you want to antagonize. 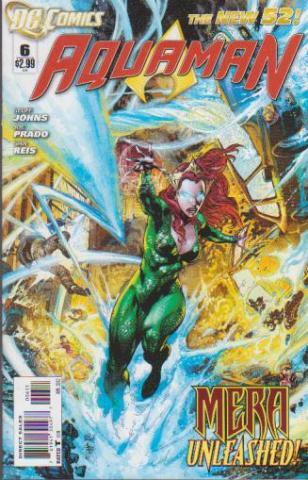 Her great strength & water manipulation powers are an awesome sight and would put the aliens from The Abyss to shame. Not a bad issue from the team of Johns, Prado & Reis. From DC Comics.